For the University’s first Peace Week, artists and activists joined with speakers and student groups for a series of movie screenings, talks, and installations about a few of the most pressing global issues of the day. The events, which took place from Monday through Thursday of this week, centered on the question, “What do you want your world to look like?” At the head of the long retinue of service RSOs was advocacy group Invisible Children, which gained instant Internet fame earlier this year with its viral campaign against the use of child-soldiers in East Africa. “We hope to raise awareness of the issues that the participating RSOs are working on, and to encourage the student body to think about which issues or causes they are passionate about, and how they can do something about it,” said third-year Ayn Woodward, president of the campus chapter of Invisible Children. Berardine Dohrn, who leads the Children and Family Justice Center at Northwestern University and is a professor of law there, was one of the first speakers, addressing juvenile incarceration. Her organization provides counseling and representation to minors,and researches legal issues. “These events are perfect opportunities for students to learn about different social justice issues and how RSOs are responding to them and how students can get involved,” Woodward said. 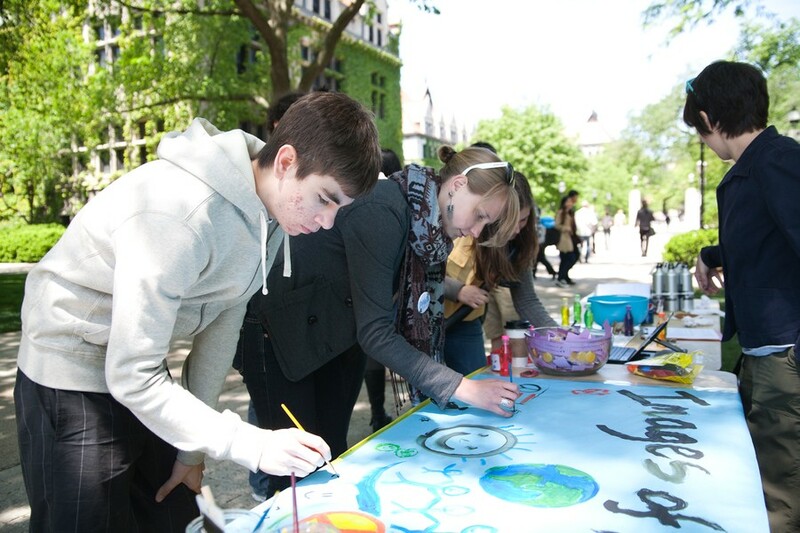 Global Water Brigades (GWB) organized an exhibit on Ryerson Quad, incorporating used plastic bottles and statistics on clean water scarcity in the developed world. Alongside Students for Justice in Palestine (SJP) and PAWS, an animal-rights advocacy group, GWB organized Peace Week’s final event, a evening talk with Pamela Bozeman-Evans, founder of the service-internship organization Summer Links, in the McCormick Tribune lounge. Bozeman-Evans addressed health-care accessibility for residents of the South Side, and offered advice to the leaders of service groups. She stressed how important it is for service organizations to engage with the people they are attempting to help. “They must be co-partners with you,” she said. Andrew Hong (A.B. ’11), who heads the non-profit Emancipate North Korea (ENoK), had high praises for the discussion.